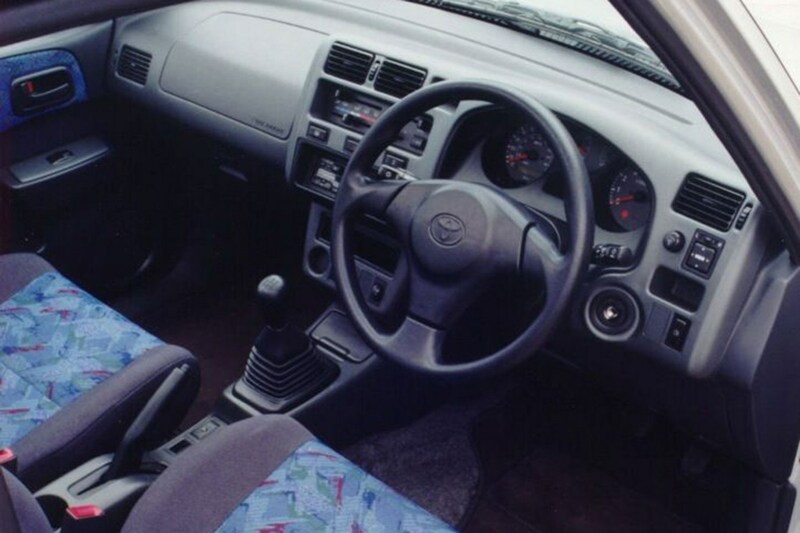 The 1994 Toyota RAV4 is a genuine pioneer of modern car design. Lots of companies lay claim to inventing the 'Sport Utility Vehicle', and most of those claims have some merit – but generally, the word sport has implied the driver taking part in sport, rather than inherent sporty qualities of the car itself. Jeep may have started the fire when it created the XJ Cherokee in 1984, yet it didn't reach the UK until 1993, and was far from perfect. Characterful, yes, but the outdated live-axles and leaf springs fell short of providing a good on-road experience; it was a great solution for those getting to off-road locations for outdoor sports, but wasn't going to win any races itself. Toyota wasn't satisfied with repackaging its existing off-roader technology – and set out to create a new platform with the flexibility to take the smooth with the rough, keeping drivers of all abilities happy behind the wheel. 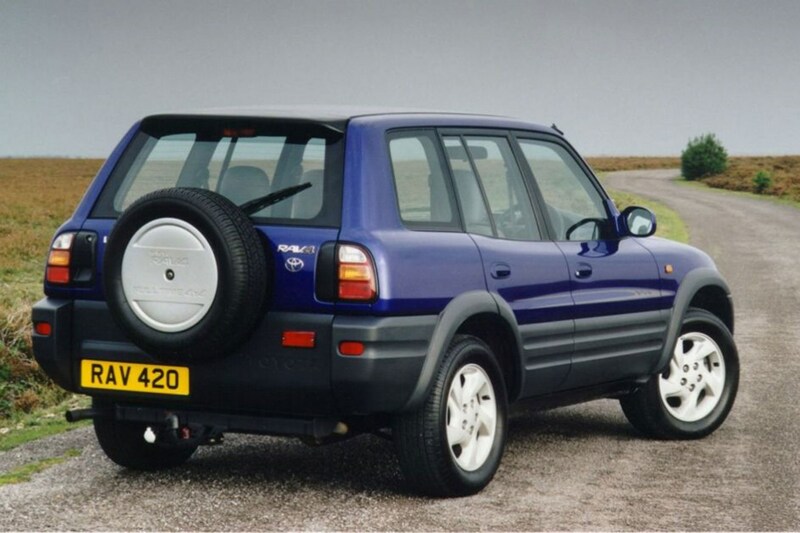 The result is the RAV4 – a groundbreaking small 4x4 that set the mould for dozens of copycat crossovers around the world when it went on sale in the summer of 1994. 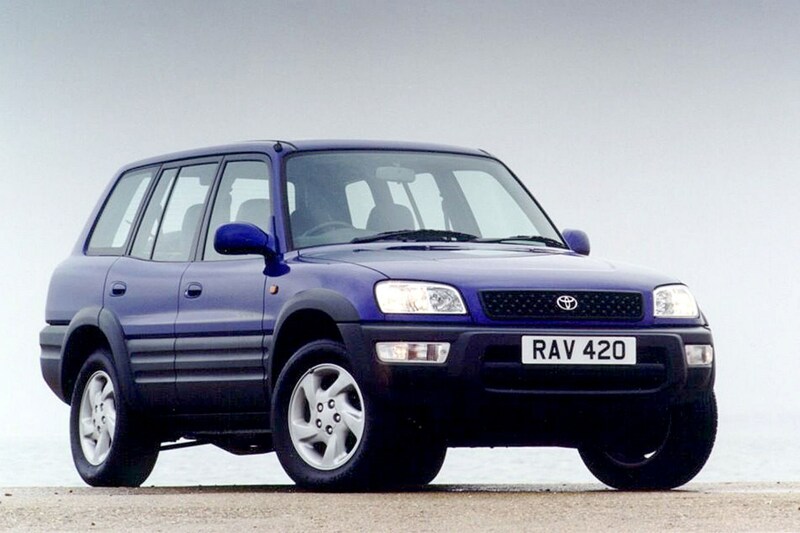 Why is the RAV4 so unusual? 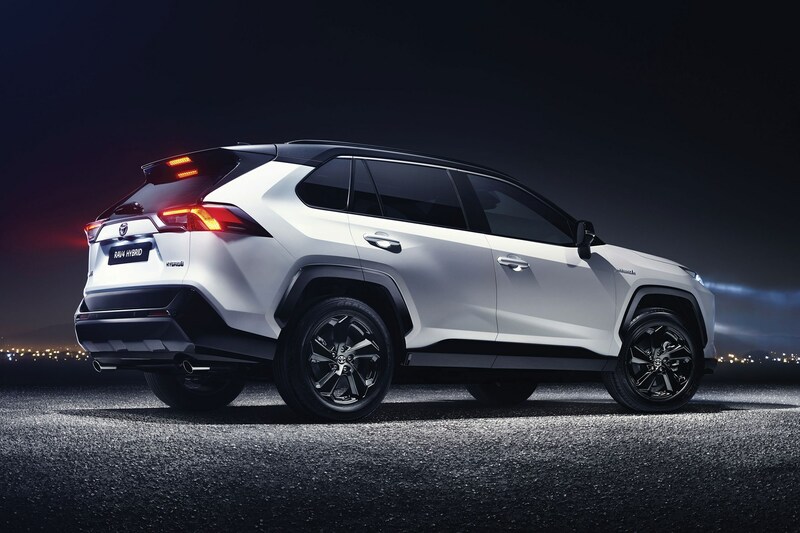 Starting with the dimensions of a compact hatchback, the RAV4 has fully independent suspension like most sophisticated sporting cars of the time, but with increased ground clearance. This design of suspension allows it to keep all four wheels on the ground at speed, reduces unsprung weight and generally results in better road manners. Such layouts are commonplace now, but at the time it was revolutionary. Until this point, even small, lifestyle-trimmed traditional 4x4s used solid axles, more adept off-road than on it. Four-wheel drive models – most examples you'll find in the UK – are good in all weathers, too, with a proven all-wheel drive transmission derived from that used in the sporty Celica GT-Four. This included the option of a centre-locking differential, which helps with the muddy stuff and ensures the RAV4 is remarkably versatile off-road despite the lack of a low-range gear. Setting the RAV4 apart from the trend towards SUVs, Toyota dubbed it a 'recreational activity vehicle'; at last simply driving could be part of those recreational activities. 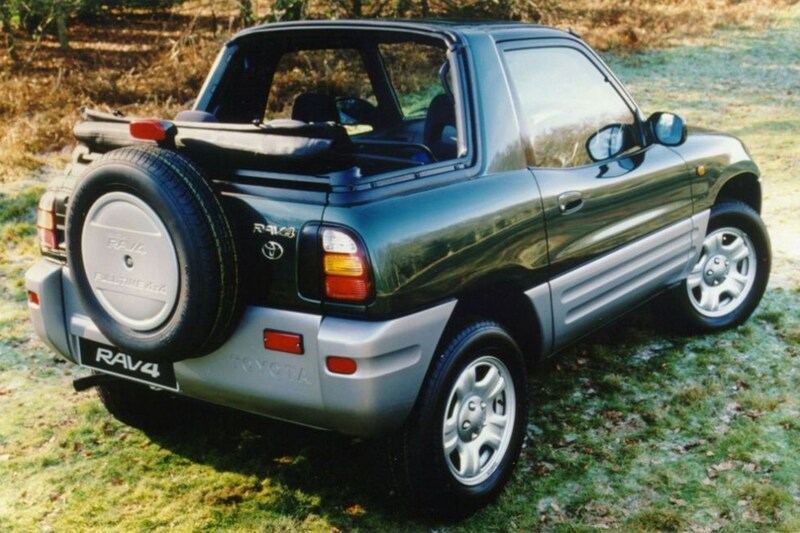 Initially announced as a three-door hardtop, similar to a Suzuki Vitara but with considerably more civilised handling, the popularity of the RAV4 with mainstream buyers ensured mainstream needs had to be met; two more doors and a larger boot were the result, as was a convertible option in the typical soft-back, targa roof style of small Jeeps. That is now a rare find, due to lack of popularity. Toyota even produced an electric version - the RAV4 EV. A pioneering concept that was usually leased, and only sold to private customers in the USA near the end of production. Most were used in California but British drivers could get a taste of the future in 1998 by visiting Jersey, where a small fleet of RAV4 EV hire cars demonstrated that on this small island, a 120-mile range and 80mph top speed were no drawback at all for zero-emission drivers. Why buy a used Toyota RAV4? Ultimately, because it's a tougher, more reliable option than its closest competitor – the Land Rover Freelander. That hot-hatch influence in the RAV4's DNA ensures planted, secure handling on road, and though it's still short of true sports car performance, the 2.0-litre 16-valve engine is tough and puts out 129hp. It's also easy to tune and upgrade, should you be so inclined. The RAV4's light weight and all-wheel drive traction ensured a 0-62mph time around 9 seconds. Compared to the contemporary Suzuki Vitara hardtop – which had a 1.6-litre engine – it's positively brisk, and could worry 4x4 versions of actual hot-hatches of the era. New buyers may not have been comparing the Suzuki and Toyota, but as a used buy the same money will get comparable examples of either. Servicing and parts costs from Toyota dealers – at least for consumables and common wear items – are also surprisingly reasonable, making a RAV4 unlikely to become a money pit that burns through your wallet. Fuel consumption is perhaps the most unwelcome cost, as the permanent all-wheel drive setup and 2.0-litre petrol engine will deliver around 30mpg typically. Despite the cramped rear dimensions, the three-door RAV4 has some advantages for urban drivers – it's less than 3.8m long (shorter than a Suzuki Swift supermini), and relatively narrow as well, fitting into 1.7m-wide spaces. The tailgate extends to a flat floor with a barely perceptible loading sill, and the rear seats can be quickly flipped forward to create a decent load area – the seats fold 50/50. Most UK models have a large sunroof in addition to the tall side windows, creating a very light and airy space. Five-door RAV4s are considerably more useful for families, with a decent amount of bootspace as well as improved access to the rear seats; they lose a little performance over the three-door, but gain ride comfort. Steering is light, with decent feedback compared to many modern SUVs, and overall the RAV4 is an easy car to drive. Equipment is naturally lacking, since it dates back to the early 1990s – most essentials are there, but air conditioning is rare on earlier examples and much of the tech is dated. What should I look for when buying a used Toyota RAV4? 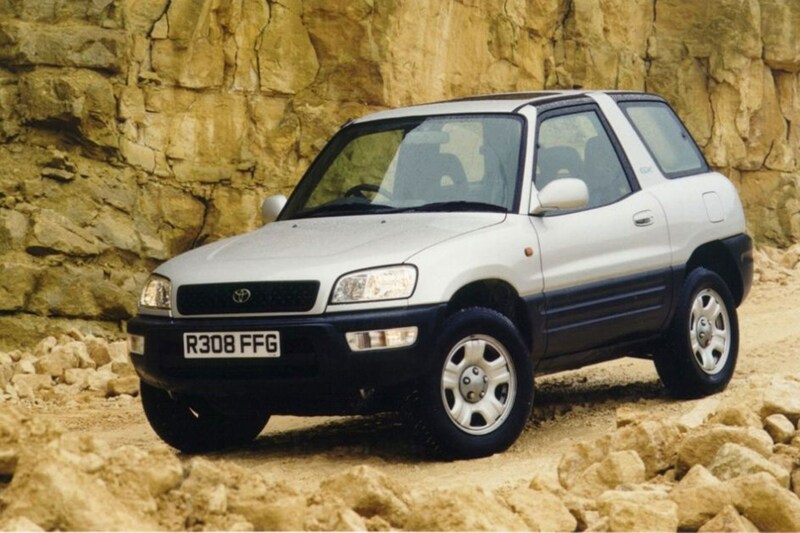 Despite the excellent build quality Toyota is known for, the original RAV4 is approaching 25 years old – and many have had a hard life in rural areas where adverse weather conditions ensure they're subjected to a seasonal blast of corrosive salt. Alongside the mechanical checks in our RAV4 buying tips below, look at the overall condition of the underside as well as the body panels and paint. If looking at the best examples of the Toyota RAV4, get a Parkers car history check online to make sure there's nothing hidden. 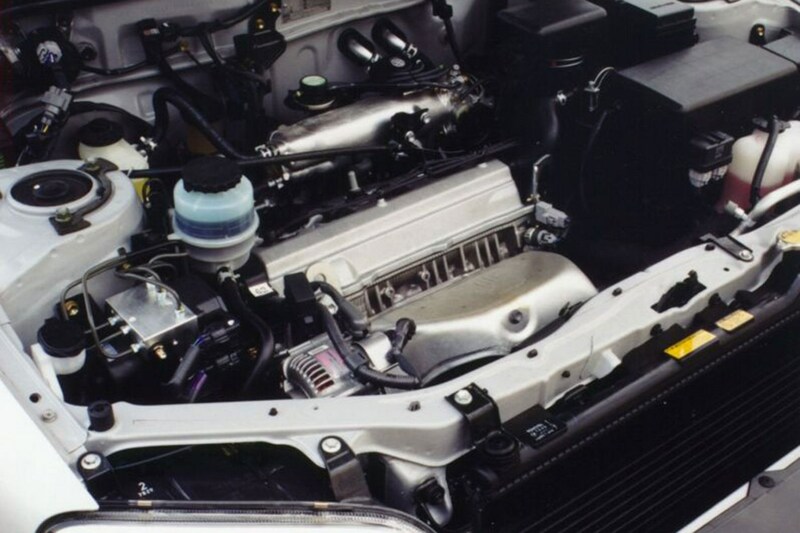 You may find Japanese import RAV4s, particularly if looking for the three-door convertible – and these can be a good buy if they've been rustproofed and maintained on import. They also have a more powerful option, in the form of the 180hp BEAMS engine. Having set the template for the modern sporty crossover, the RAV4 was a genuine success for Toyota, and it is now on the fifth generation. During that time the platform has evolved, got larger, more practical and in 2019 a much sharper design gained a hybrid powertrain – sharing Toyota's TNGA platform with several new modules such as the Toyota C-HR. Naturally the new models are competent, economical and remain successful for Toyota, but there's a lot to be said for the original RAV4's purity of concept and single-minded approach to delivering the fun, involving drive of a hot hatch in an era when small 4x4s had more in common with tractors than family cars. How much should I pay for a Toyota RAV4? Did you know the most popular review for the RAV4 range is the Toyota RAV4 SUV review.